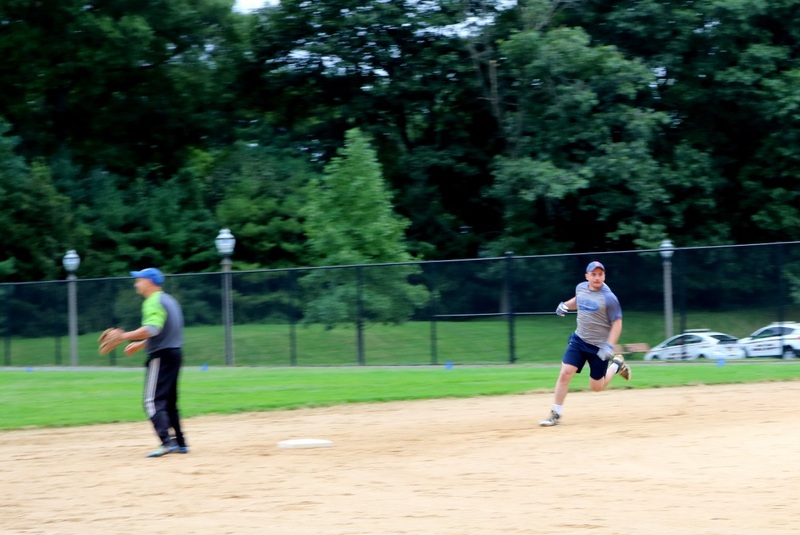 Village of East Hills > Headline News > East Hills > The Mayor’s Softball Tournament was a Home Run! 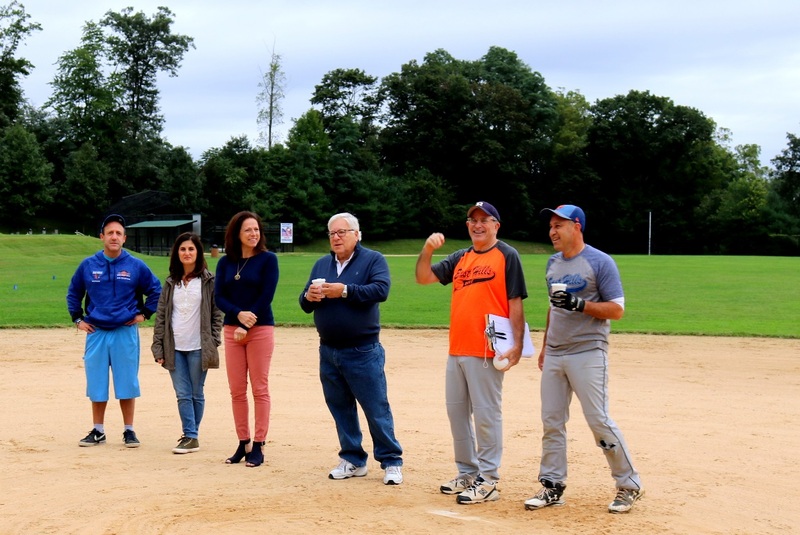 On Sunday morning, September 30, 2018, the Village of East Hills held the finals for their seventeenth annual softball tournament commonly referred to as the Mayor’s Trophy Game. The previous week saw 6 teams battling for the chance to play in the finals. The tournament was planned and implemented by Peter Wagner and Stewart Faden. The event is now 17 years old. It was first established on the first East Hills Day held more than 20 years ago. In this year’s tournament, Stewart Faden’s team, “The East Hills Renegades”, battled through each of the first two rounds to reach the finals. The opposing team was last year’s champs, Michael Spiel’s “East Hillers”. In the final game, The East Hills Renegades took a quick lead in the first inning when Brian Gloznek walked and was followed by a double by Thomas Gloznek and a triple by Grant Hynes. The second inning recorded another rally as Robert Duca Jr. and Robert Duca III both singled, only to be followed by the game crushing home run by Stew Faden. Pitching for the Renegades was Jeff Boshnack. Jeff, a four-time champ in this tournament, kept the opposing team off balance for most of the game by his talent. Along the way, Michael Spiel’s East Hillers tried to battle back only to be turned away with the tying run at the plate on a spectacular defensive play of the game by Grant Hynes. Grant caught a ball deep in centerfield and then fired the ball on one bounce to Greg Hoffman at home plate, who tagged the runner trying to tag up from third to end the inning. In the end, the final score was 5-3 for the East Hills Renegades. The victory was the fifth for Faden in the 17 year history of the tournament. 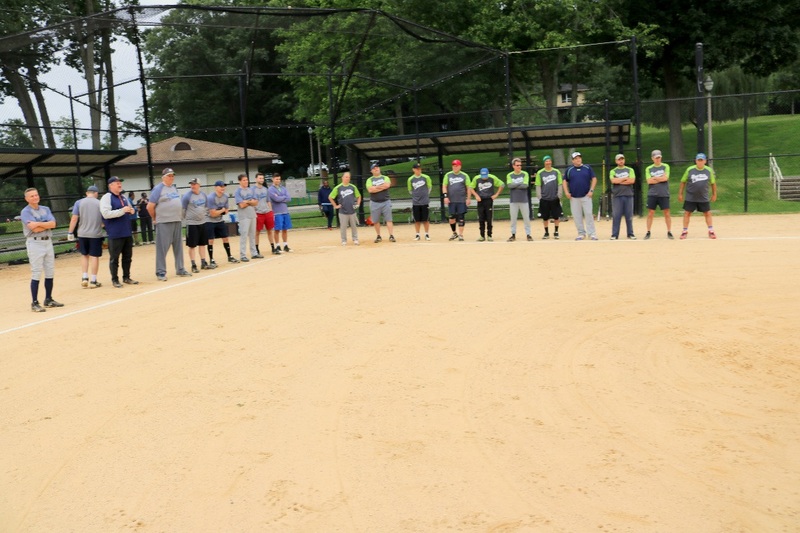 On the winning team, The East Hills Renegades, was Stewart Faden (captain), Brian Gloznek, Thomas Gloznek, Robert Duca Jr., Robert Duca III, Luca Pagota, Grant Hynes, Troy Mitchell, Greg Hoffman and Jeff Boshnack. 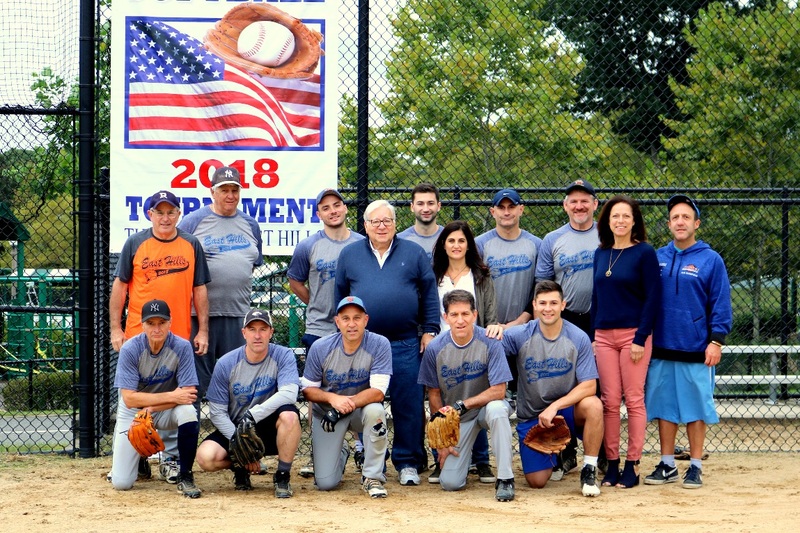 The members of the second place team, the East Hillers, consisted of Michael Spiel (captain), Zohar Caspi, Brad Sommer, Alan Rapfogel, Kenny Mersand, Mike Smolens, Ziggy Zborowski, Marc Kono, Josh Rogowsky, Giancarlo Giunta and Jon Paisner. Pictured above, on the left, is “The East Hill Renegades” and on the right, the runner-ups, the “East Hillers” in the 2018 Mayor’s Trophy Game. In the picture above is a player from The East Hill Renegades racing to the base. The Board watched the games from the sideline. Mayor Michael Koblenz (center) is shown with (L-R) Trustee Brian Meyerson, Trustee Stacey Siegel and Trustee Clara Pomerantz and co-organizers Peter Wagner and Stewart Faden.